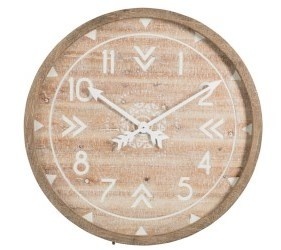 Bohemian wall clock made of natural wood with white wash effects and white numerals. Size approx . : D 83 x 5.5 cm.